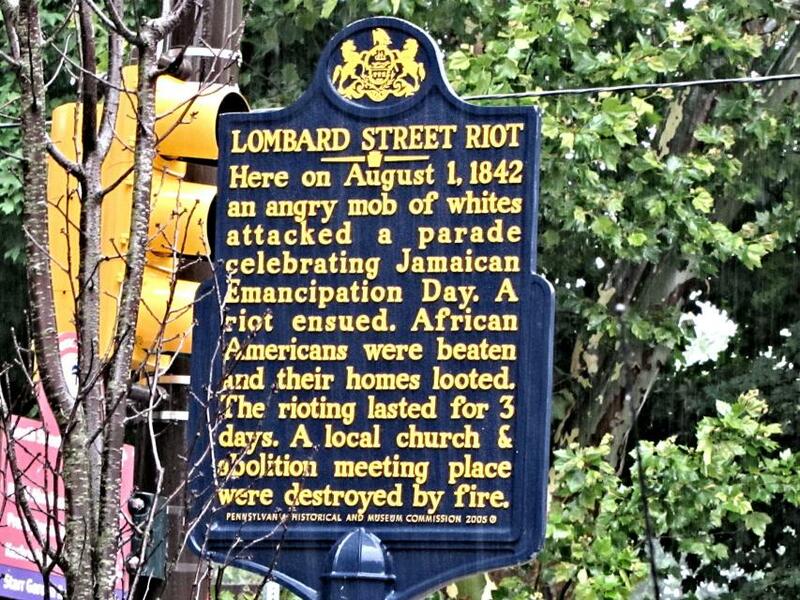 Here on August 1, 1842 an angry mob of whites attacked a parade celebrating Jamaican Emancipation Day. A riot ensued. African Americans were beaten and their homes looted. The rioting lasted for 3 days. A local church & abolition meeting place were destroyed by fire. This marker can also be identified by its HM code. You can use the hashtag #HM1JNS in tweets, and any other place where you might refer to this marker, including when searching on this site.